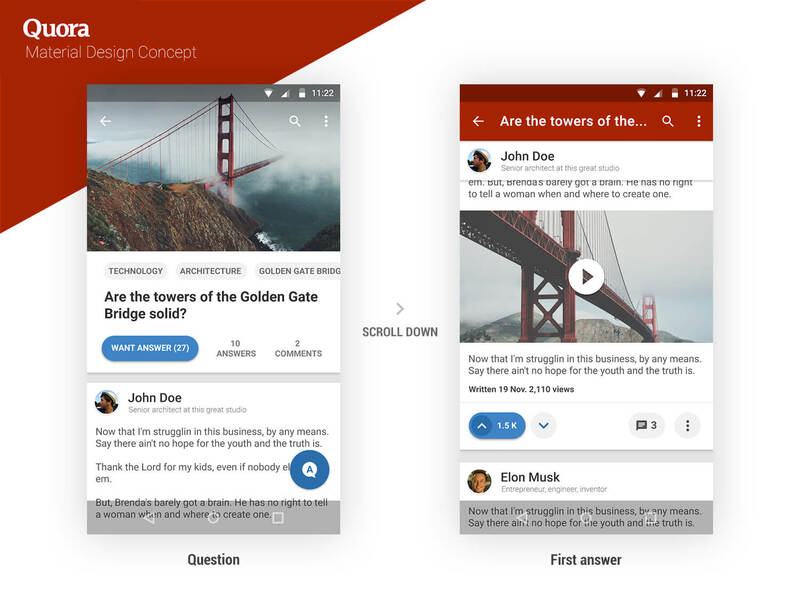 We’re used to seeing redesign concepts for popular websites such as LinkedIn, Facebook, Twitter, where the designer’s gone all out to impress and ended up with something that doesn’t really bear much resemblance to the original. 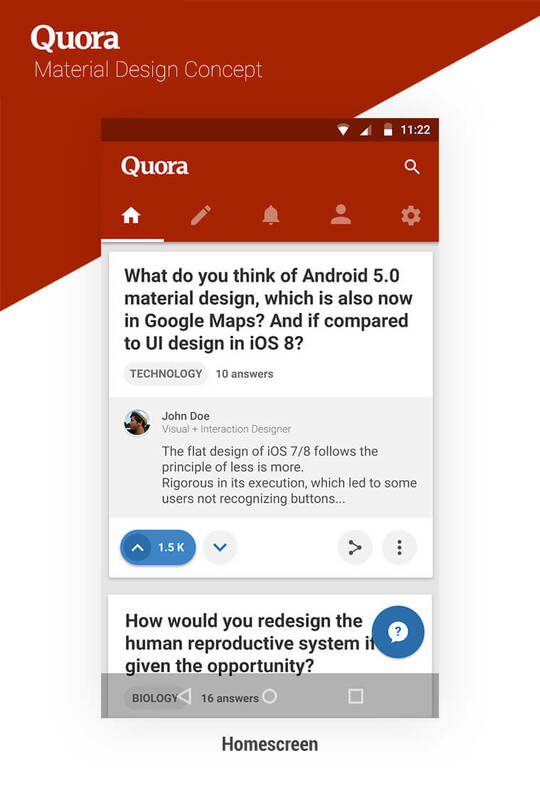 However designer Mathieu, has taken the opposite approach in putting together a brilliant redesign concept for Quora. 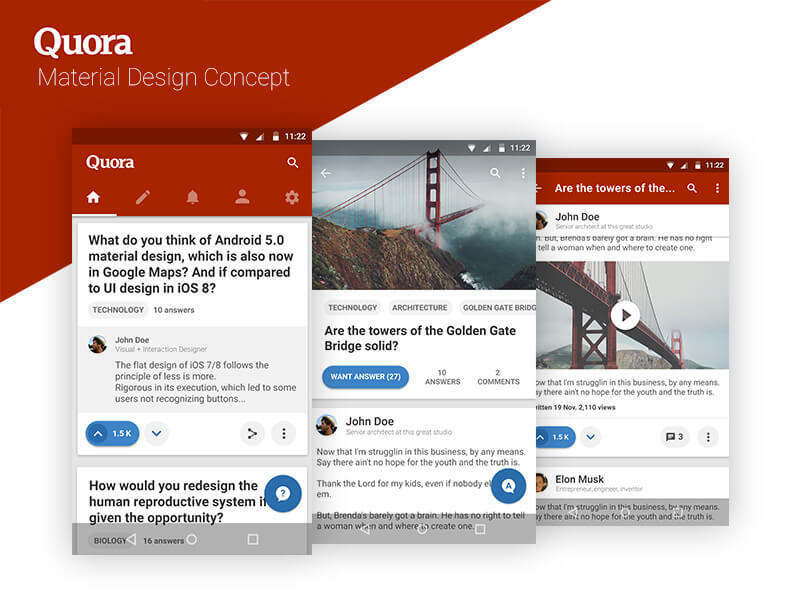 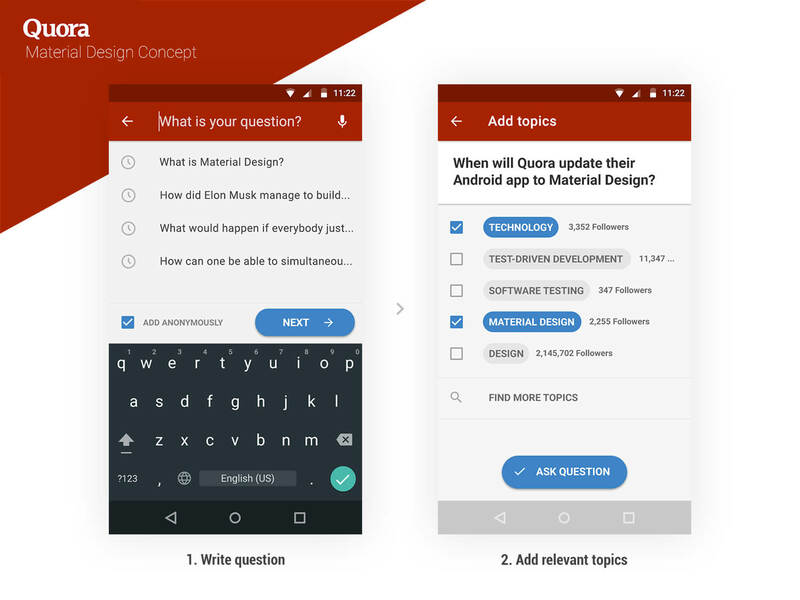 Material Design concept of Quora app for Android, keeps all the existing site features and functionality, and is enriched with Material Design aesthetic to create a more loveable visual experience.